There’s no arguing with the fact that society is putting a lot of pressure on us in terms of appearance and age. That being said, one would naturally assume that dating and looking for companionship were reserved for the young. However, the truth isn’t as black and white as you would think. While traditional dating is a story for itself, the world of online dating is actually quite welcoming to all sorts of people in terms of age, gender, race, sexual preferences, and many other parameters. With that in mind, here’s why you shouldn’t worry about a thing if you’re a senior who’s thinking about giving online dating a try. If you think age is amongst the most important factors when it comes to picking out your perfect partner, you wouldn’t be completely wrong. When it comes to seniors and online dating, things are a little bit different than they are for the people in their 20s. Younger people care about each other’s age a lot more than seniors do. In fact, it’s the second-most important attribute on online dating sites regularly used by guys and girls aged 25-35, with only the profile photo having more relevance. But when you pass a certain point, age doesn’t really matter anymore. 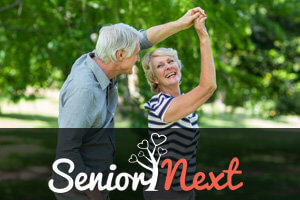 Adults who are over 55 show a lot more flexibility and tolerance in terms of age (since they are seniors themselves), which in turn makes the senior online dating experience much less stressful. Since we already mentioned the profile photo, you should also note that looks are also less important to seniors than they are to younger individuals. Aside from the obvious, the youth and seniors are looking for very different things whilst using dating services. While things tend to move really fast when you’re 25, older folk have all the time in the world. For example, an average meeting with someone you’ve met on an online dating site usually includes drinks, while the majority of seniors prefer a quiet, relaxed dinner date. It gives them a better chance to really talk and get to know each other – something that doesn’t happen too often in crowded bars. 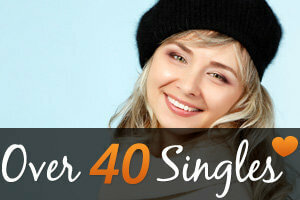 Furthermore, seniors who use dating website aren’t necessarily looking for romance. Love surely is a constant, but many people who have passed a certain age are also searching for friends and other sorts of companionships. Once we get to that age, it’s common for us to establish a handful of activities which we really enjoy. This is the primary reason why seniors might use online dating sites as a means to find a poker buddy, a gardening partner, or a travel companion. Finally, if all of this sounds great to you but you aren’t sure you have the budget for it – don’t worry. There are many great free dating sites that were especially designed to suit seniors and their needs for romance and friendships.